These days many people have their outdoor areas paved. Paving over gardens leads to an increase in the ‘heat island effect’, less biodiversity, more flooding and air pollution. 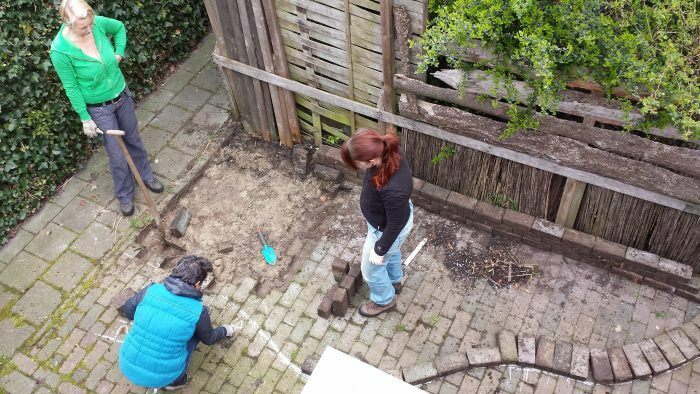 In order to raise awareness of the advantages of a green garden, the largest cities in the Northern Netherlands, Groningen and Leeuwarden, have joined Operation Stone Crusher. Residents are encouraged to make their gardens greener to limit negative effects. Various initiatives have been created as part of Operation Stone Crusher, such as ‘tile out, plant in’ and rain barrel subsidies.